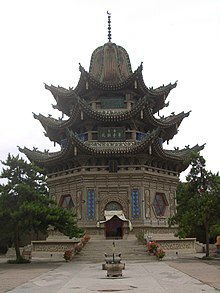 The mausoleum (gongbei) of Ma Laichi in Linxia City, China. 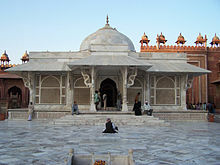 Tomb of Shaikh Salim Chisti, Uttar Pradesh, India. The tomb of Khoja Afāq, near Kashgar, China. 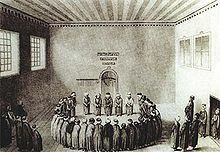 Mawlānā Rumi's tomb, Konya, Turkey. 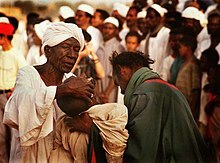 Dhikr in Omdurman, Sudan. 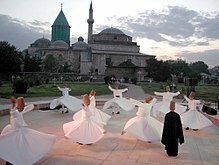 A choreographed Sufi performance on Friday at Qadiriyya event.